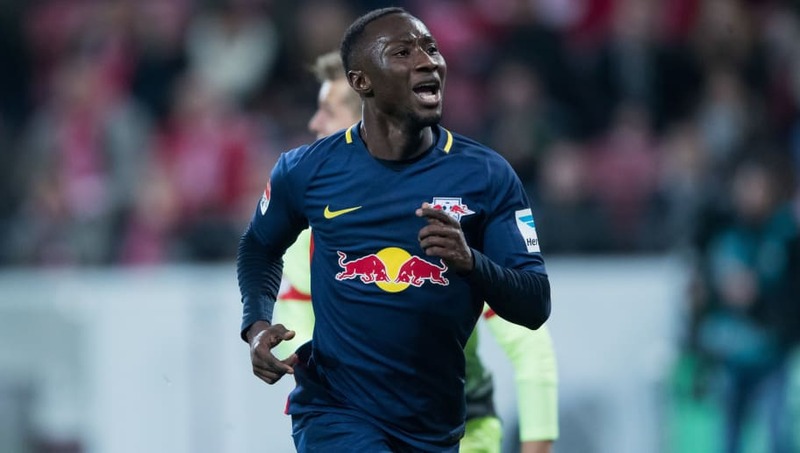 ​Naby Keïta has admitted that he was surprised to be handed with the no. 8 shirt at Liverpool, revealing that club legend Steven Gerrard personally handed over his old number to the Guinea international ahead of his move to Anfield. The 23-year-old has been the subject of much transfer speculation since breaking onto the scene with RB Leipzig, but Liverpool pipped a number of European giants to his signature last summer after reaching an agreement with the German club to sign Keïta for £54m. Keïta remained at Leipzig last season and the Red Bulls once again qualified for a European competition - albeit the Europa League. But the versatile midfielder will officially become a Liverpool player on July 1, the club have confirmed. Ahead of the move, Keïta was personally given his new shirt number by club legend Gerrard, something which the Guinean claims has given him extra motivation to succeed next season. When Naby Keita gets into this Liverpool team, with a better GK and two more quality players, they might win the league next season. "It was an incredible day for me. He gave me the no.8 jersey. When it happened, it was a surprise and I didn’t expect it," Keïta told the club's official website. "When he came in, I looked and him and said, ‘wow’ because he is a legend. He is somebody who always showed respect, who gave his all on the pitch, somebody who is loved here. "If somebody like that gives you his shirt number, it’s not to play around with, it is to try and do as much as he did - that’s my motivation." Honestly I still feel a little shocked that #LFC will have both Naby Keita and Fabinho at the heart of our spine next season! Keïta also revealed that he personally spoke to Sadio Mané and Jürgen Klopp before agreeing to join the club, admitting that Liverpool's success last season has made him even more eager to link up with his new teammates. The young midfielder moves to Anfield with a wealth of experience already behind him. Keïta first moved to Europe in 2013 where he joined French side Istres before getting caught up in Red Bull's projects in Salzburg and Leipzig. He made a total of 152 appearances for the energy drink company's sister clubs over a four year period, scoring 37 goals and claiming 26 assists.